The potential acquisition of Alstom by General Electric has made more than the usual headlines in France & around the world, notably due to the French government’s lobbying for German competitor Siemens to acquire the company’s ailing Energy division, currently valued at upwards of $17 Billion. For those without memory loss, this process may feel quite similar to that of the Yahoo-Dailymotion scandal, in which the French government, who owns a 22% stake in Dailymotions’ parent company Orange, used their board position to insist that Yahoo acquire no more than 49% of the company (the terms of the deal were 66% for €200 Million). This deal, unfortunately, has much more grounds for interruption, and France doesn’t want to see its national champions sold off to foreign (read: American) companies. For this reason, a decree (for Americans, think “executive order”) was signed by Arnaud Montebourg – yes , that Arnaud Montebourg, the one who wants to kill Uber, the one who stopped the Dailymotion acquisition, and the one who is in charge of the Digital Economy – allowing the French Government to override acquisitions of national importance, adding the Energy, Water/Gas & Electronic Communications sectors into this list. Not only does this include GE’s acquisition of Alstom, but it also retroactively could have implications on Numericable’s acquisition of SFR; however, with SFR’s other suitor Bouygues currently shopping around for acquirers, I doubt the French Government can handle the thought of interrupting the acquisition and hurting SFR, along with Vivendi (their current owner). Lastly, if you look closely, you’ll notice that “Electronic Communications” includes just about every startup you know – Internet of Things/Connected Hardware, all those Billion-dollar messaging apps, and even Eventbrite, or Deezer. What startup does not include electronic communications these days, given the increasing role of M2M & API communications? 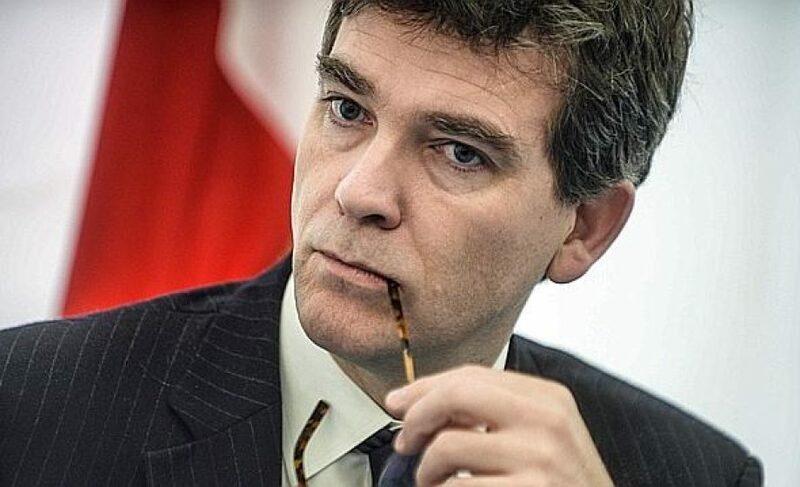 In an interview with LeMonde[fr], Montebourg refers to the government’s extended ability to block acquisitions or fix terms as a “necessary rearmement for the Government” – apparently the government didn’t have all the ammo it needed before. So – international investors, you know what you gotta do: stay out of France. It hurts to say it, but the country that coined Laissez-Faire economics just killed it. Yeah and also stay out of the US, Germany, China, Japan, South Korea… since all these countries have this kind of rules. Liam, thanks for the post, a few remarks. – “France can veto all acquisitions” is a bit of an overstatement. There are many industries other than energy, tech and defense, that are not impacted by the new decree. – In his interview, Montebourg says than 10 operations have been blocked in 2012 in the US, and that even some French investments have been stopped in the past. Is this untrue? Did anyone investigate that statement? And if it’s true, why would investors avoid France more than other countries having the exact same practices? Montebourg unfortunately is a bit of a throw back – he obviously has little understanding of the digital economy and (probably due to his own political ambitions) is too ready to wade into the media scrum and put his points across belligerently….. yes other countries have similar laws, but again France’s lack of PR understanding and Montebourg’s lack of understanding how news spreads nowadays in 140 characters or less means that once again, looking from the outside in, France will be viewed as some kind of anti-business state. I just read this article and honestly I am shocked. Did the person who wrote this thing, made any kind of research before hand. I though rude baguette was about promoting the french scene and avoiding what some american and british media are already doing so well – ‘The French Bashing’. I hate when journalists (or people who are assimilated to journalism) are cutting corners, just to increase page view, it is really, really, really bad. This is why most are losing faith in journalism. The only thing decent for you to do, Sir, it is to issue an apology and retract this article and rewrite it with all the views and research done. And, please, avoid giving your opinion, I just want the facts, only the facts. 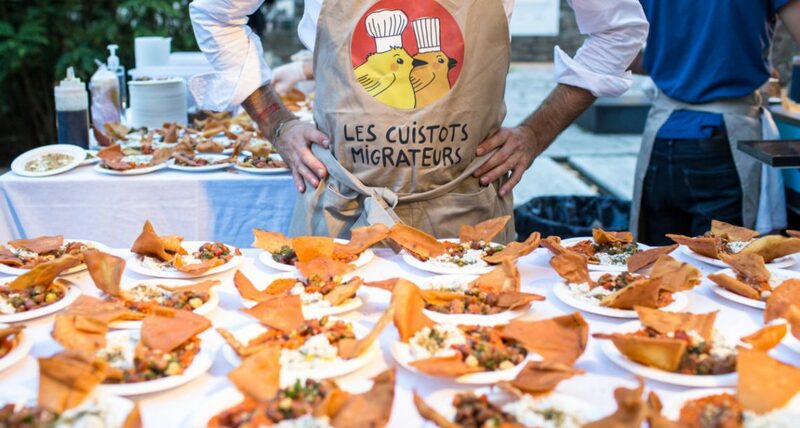 1) The Rude Baguette does not promote the “French Scene,” we report on it. When there is positive news to be reported, we cover that. Where there is negative news, we cover that. Our mission is to provide 100% transparency into what’s happening in the French Tech Market. I’m sorry if that’s not clear. 2) What is happening with Pfizer and AstraZaneca has very little to do with this article, other than the fact that it is a foreign acquisition. 3) I hate when journalists cut corners, too. Luckily, I’m not a journalist, and I don’t cut corners. If you think our business model is based on page views, I suspect you go looking for the 3rd party ads on our site (which you won’t find) – we have a business model entirely independent of page views. 4) No one’s losing faith in journalism. 5) As Editor of the Rude Baguette, I refuse to leave out my opinion, and feel it would be a disservice to our readers to do so. If you think we have left out certain facts, then we can most certainly include them; however, our goal is to provide fact-based analysis on what’s happening in the ecosystem, and any misunderstanding you have had around that is something that we will have to take into account as we continue to project our role in the media landscape. The goal is not that you agree with me, it’s that you launch an intelligent debate on the matter. I don’t see much in the way of facts counteracting my argument (otherwise I would’ve addressed them); however, I’m happy to discuss the merits of my opinion. Some have argued that the US and other superpowers engage in the same practice, to which I have responded that France is no longer in a position to “do what the US does,” because, economically, it does not have the same ‘muscles’ to ‘flex’ that it used to. Happy to continue this discussion, but “I don’t agree with you” is not a counterargument. It’s just an opinion – one that is *not* fact-based. Well, there a lot I could say about your answer, so I will try to put as brief and concise as I can. And thank you on calling me on the fact that I did not argue my case. After all every shareholder in every company should always looking what will be their best interest, and the french government who is a shareholder in Alstom and Dailymotion cannot be different. 2) BTW-The AstraZaneca case which I referred to you has everything to do with your article as we are debating on ‘Foreign Acquisition”. The reason I pointed out the AstraZaneca case to you, it is to show you even in the most liberal markets, governments are always looking at ways to interfere in private business matters if they juge in would be in the best interest of the public for them to do so. And you’ve probably noticed that the British and US governments are not even shareholders in Pfizer and AstraZaneca. 3) You might not be a journalist, but as you said you are a reporter which assimilate you to the journalism world which gives you an obligation on your reporting – Unless of course you mention at the beginning of your article ‘This article only reflect the view of the author’ or you can put ‘This is a satirical view’. 5) As an editor you surely know that when it comes to give an opinion you should make sure that you mention it before hand, so every reader will know this is your opinion and doesn’t represent all the facts. I mean come one, you know exactly that was wrong what you did and I am not the only one who have noticed it. I read a lot different tech news from different sources and I was hoping things will be a bit different here, not like following the consensus that ‘France is a bad place to do business’. Your opinionated article is not only wrong for all the reasons I mentioned above, but above all it is defamatory with no facts. I totally agree that there are a lot to change in France, no doubt about it at all, but obviously France is in a much better shape than what the common view want to broadcast. There is a fear factor going around about how France is declining, but if you look closer at the numbers, you can hardly see it. Another common mistake, it is to compare everything to the American way, not remembering that there is more than one way to do things. Of course the American way has been successful but do not make the mistake to think that the French way hasn’t been as successful – refer to the above facts. Please note, I don’t read your article and hoping that everything you said, I will agree with. I read because, I am hoping to find some news and facts about the French ecosystem. Your opinions matter but they should not be news. I think you’re imposing a lot of your ideas on what we are, what journalists do, what the correct viewpoint is on this matter, and about how people treat France in general. We rarely compare France to the USA – my point in this article is that, while other economies can potentially afford to have such policies, I don’t think France can. But again, this is my opinion, and you have the right to disagree. Where I take issue (hence my response) is calling out the journalist for having an opinion, and then proposing your own. Disagreeing is fine – asserting that I don’t do my homework is not. I’ve simply come to a different conclusion than you. Lastly, you’re mixing a lot of arguments here – France’s announcement, the Alstom issue, the Pfizer issue, how journalists write about France all together – sounds like you’ve got a lot of ideas. You should write a blog. This article is the result of an overreaction from its author and a deep ignorance of France laws and politics. Would this article been published in the New York Times I would understand, but in a blog dedicated to France startups …. Just take the time to read the “decret”. It is actually milder than legistions of that kind you can find in US, Germany or Japan… Are you going to treat also these countries as doomed by communism in your next posts? It is also to be noted that this decret is just updating the previous Article R153-2 of the “code monétaire et financier” adding energy, water and health to the previous list. I am sorry to see your headline Liam, what has happened to you, you had always been so far much more balanced and serious in your posts?